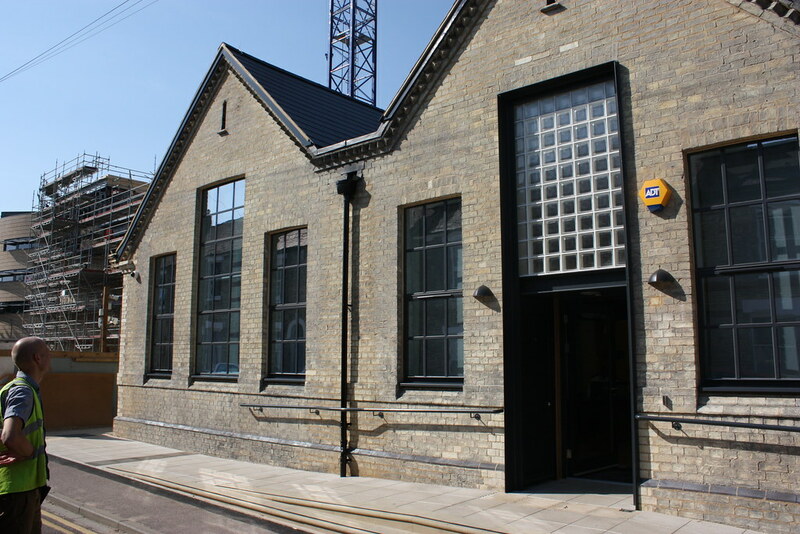 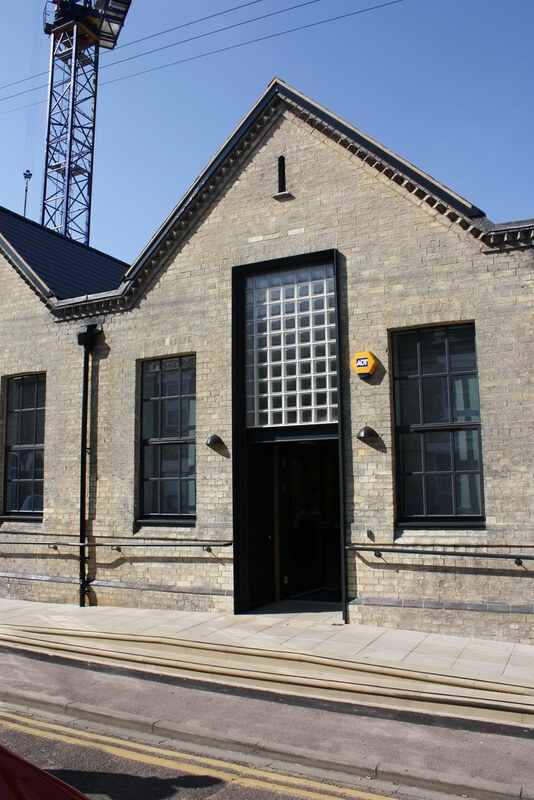 Anglia Ruskin University hosts a department of music therapy which is a leader in its field. 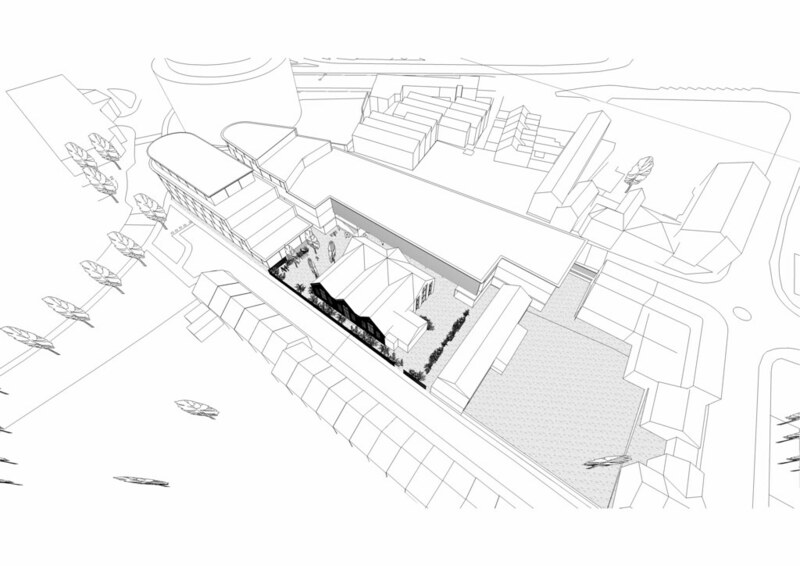 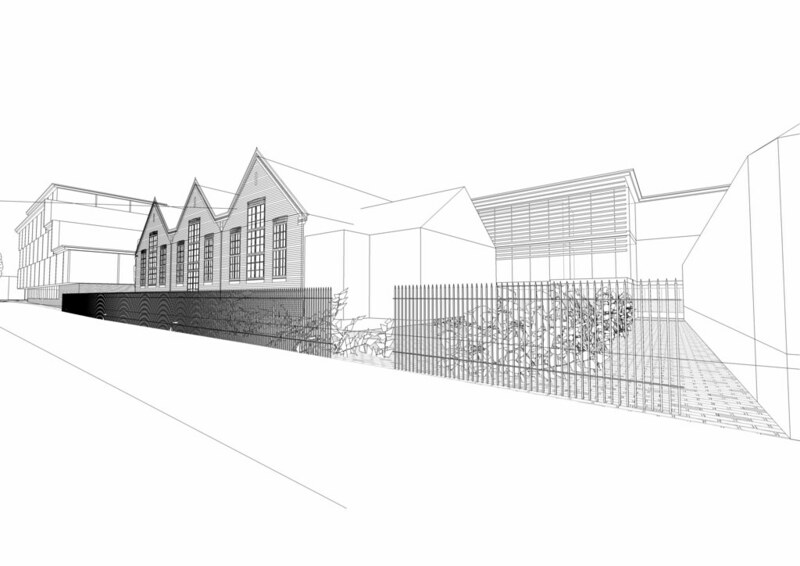 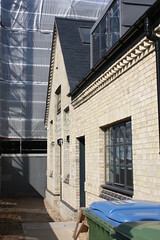 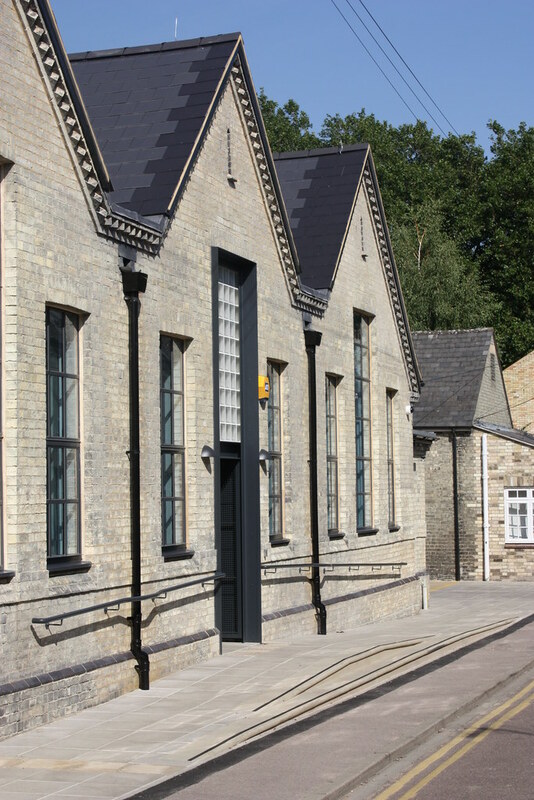 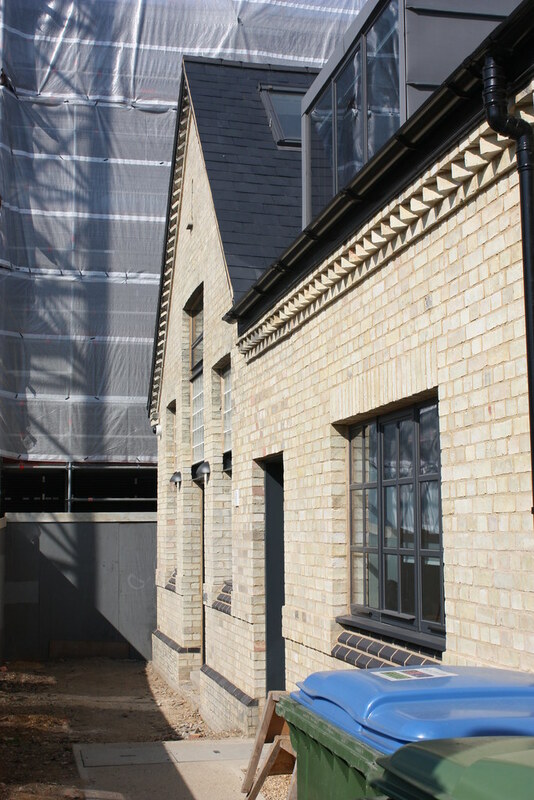 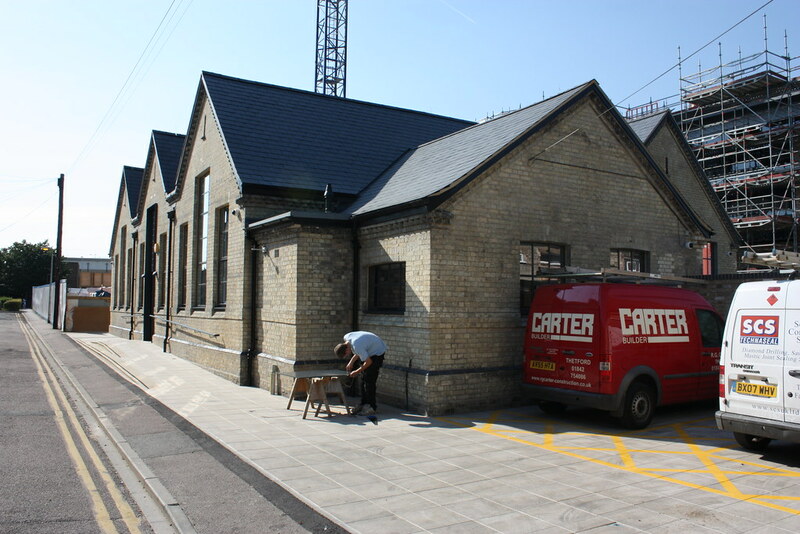 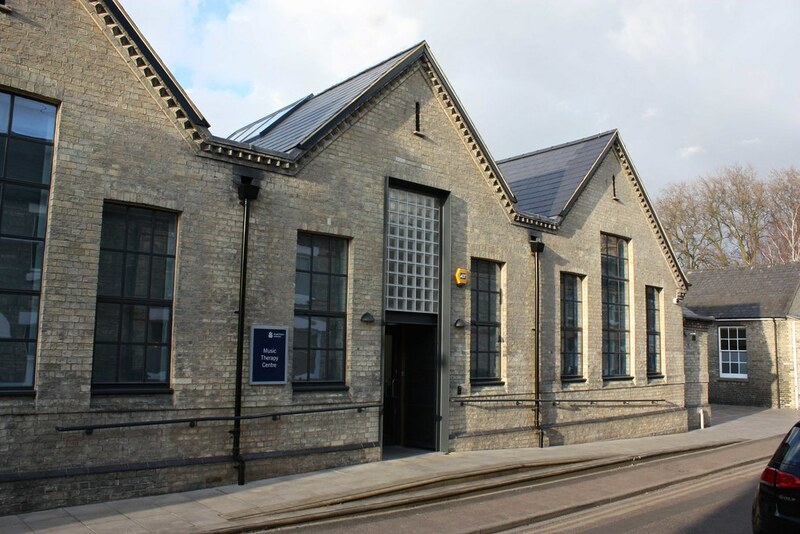 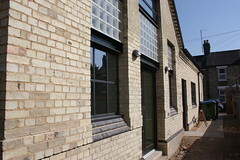 The opportunity came about to rescue and rehabilitate a derelict Victorian primary school “the Ragged School” as part of the general development of the University’s new Young Street satellite campus. 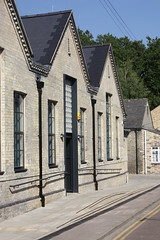 The Victorian School dates from 1854 and is designated as a building of local interest. 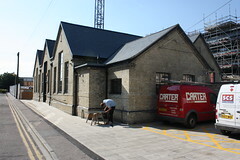 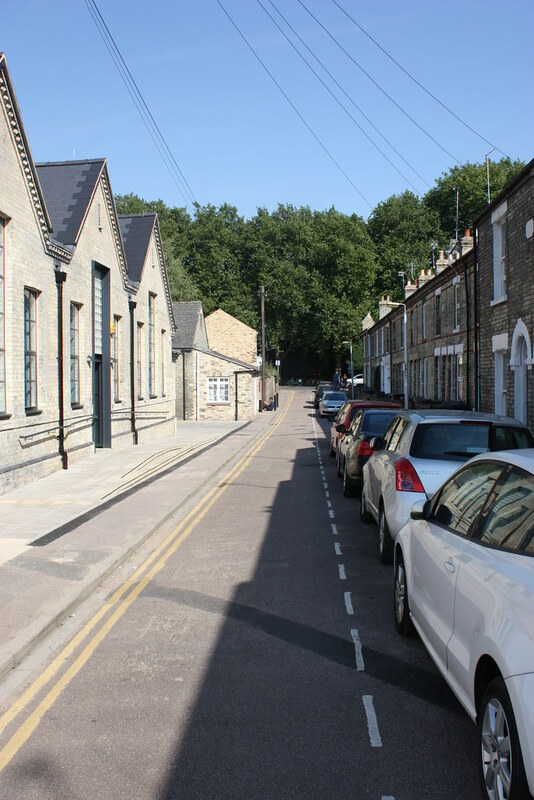 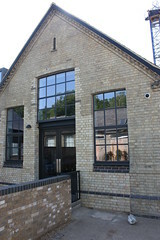 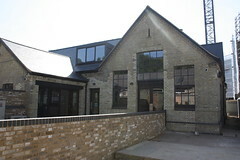 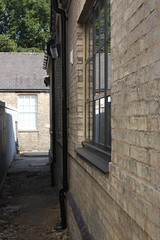 It sits within the zone 1 conservation area. 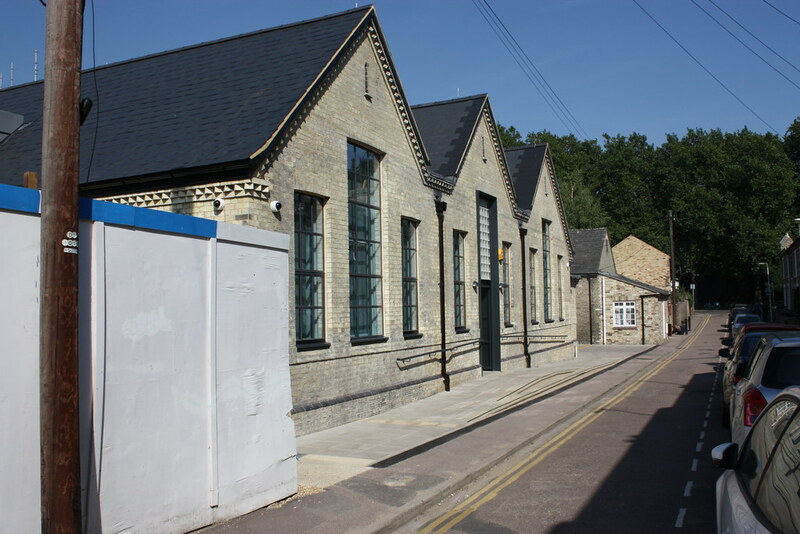 The school, disused for many years, consisted of a main hall and three classrooms each distinguished by their own significant pitched and slated roofs. 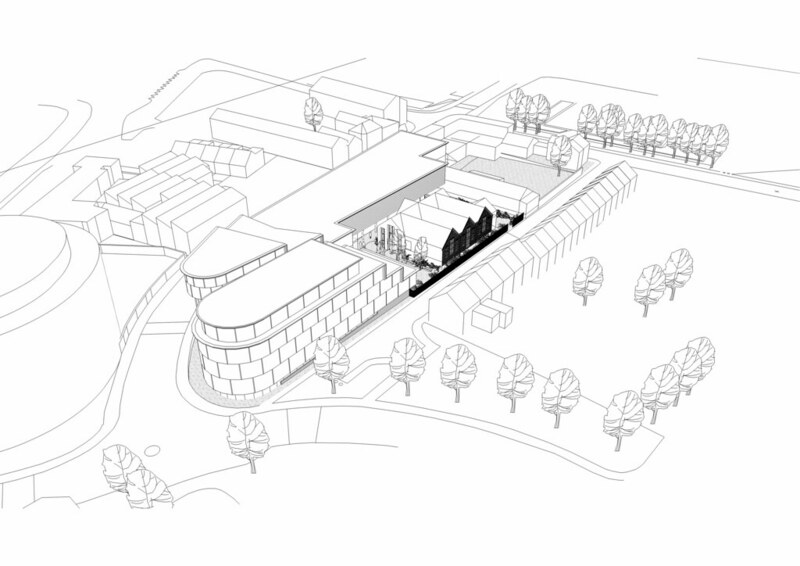 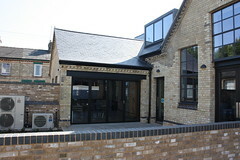 The new school, completed on time and on budget, has placed an entrance foyer within one of these roofs, a music therapy room in each of the other with the original school hall converted into a lecture room and activity space, generally available to the whole university. 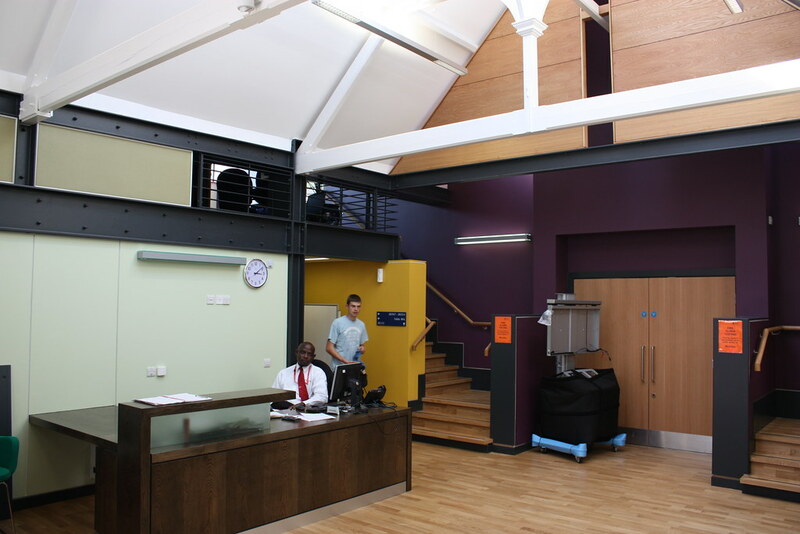 Offices for the academic staff and postgraduates have been placed at first floor level and the building was handed over in February 2014. 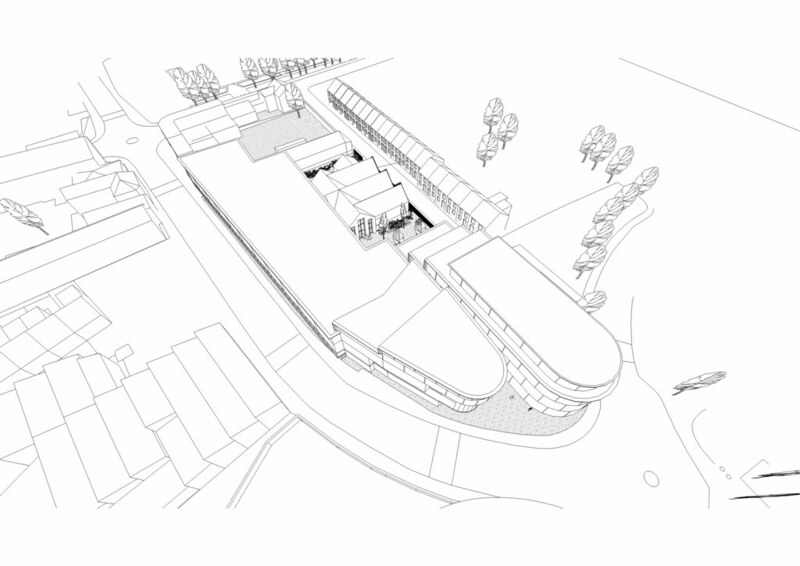 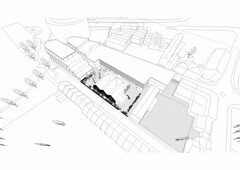 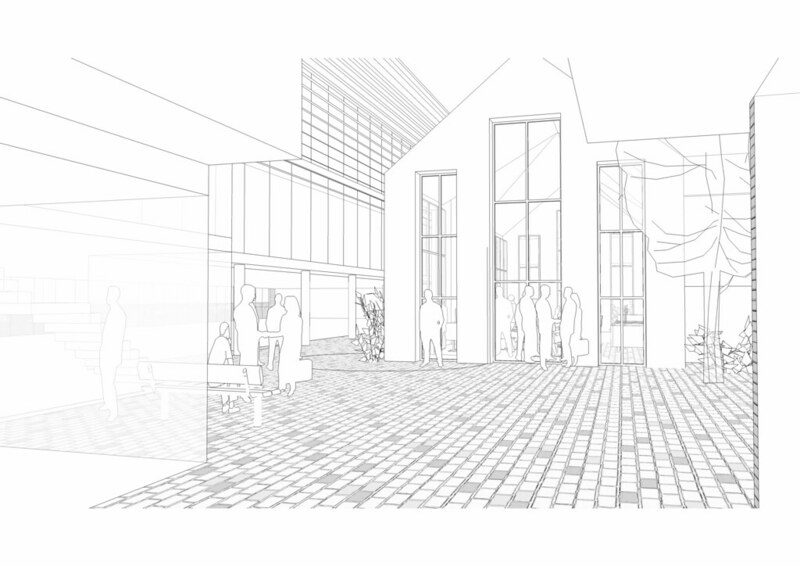 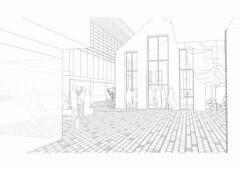 A new street front entrance and central reception area were formed, flanked by a pair of acoustically sensitive rooms to make sense of the three gable composition. 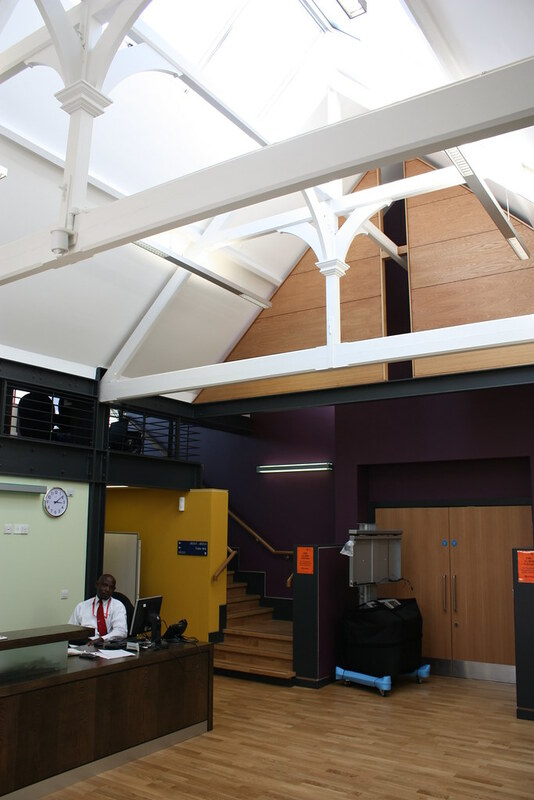 Exposing the original timber roof trusses has revealed a layer of history as well as allowing the insertion of a mezzanine level to maximise usable roof space illuminated by new dormer windows. 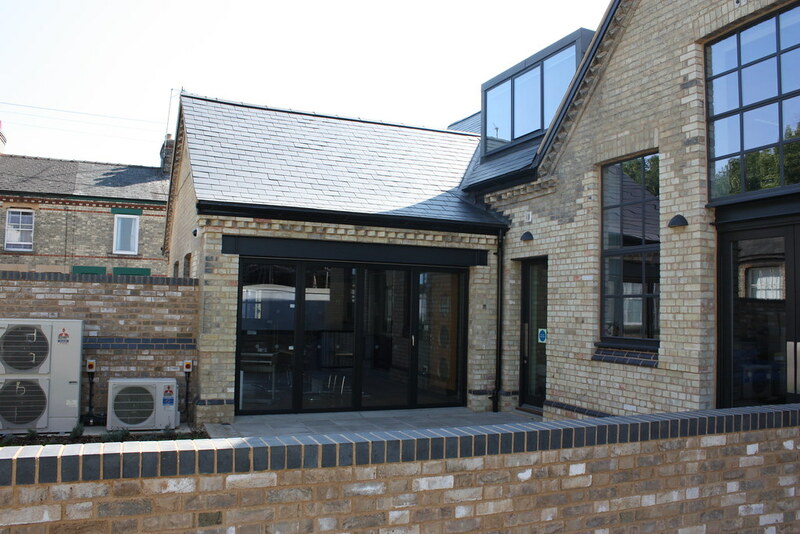 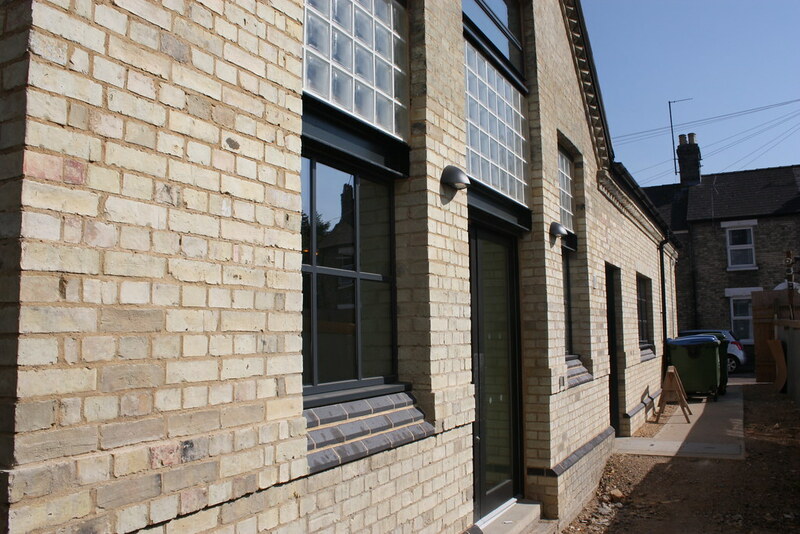 Externally, the opportunity was taken to introduce new sliding folding doors to open up the function space to the courtyard, while the historically interesting dentil course detailing has been restored with later unwelcome additions removed. Throughout the new work is responsibly expressed as distinct elements within the original fabric.